Since Monsanto’s release of glyphosate in 1974, glyphosate has for long time captured largest herbicide market share. Glyphosate is a very influential herbicide to the world agriculture, always attracting the eyes of the industry. Due to the plantation of large area of glyphosate resistant, GM crops over recent years, global market value of glyphosate has further increased reaching $5.46 billion in 2012 with total demand arriving at 718,600 tons. 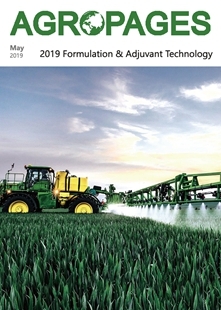 According to a forecast, the compound annual growth rate of glyphosate market value may reach 7.2% and the market value will reach $8.79 billion in 2019. 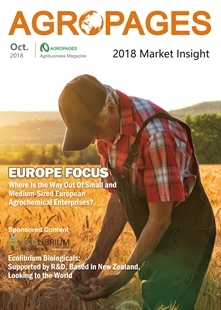 However in such an optimistic situation and under the circumstance of a new round of investment in glyphosate business, the issues of glyphosate resistance and safety are also widely reported, including the prohibition of use or restriction of use in some countries, which is somewhat cooling down the feeling of optimism of the industry, which requires a rational thinking. There were 18 million farmers across 27 countries having planted GM crops in 2013, which is 3% up year on year for 18 consecutive years. Planted GM crop area has reached 175 million hectares, 5 million hectares more over 2012. Among the planted GM crops, 80-90% is of glyphosate resistant single trait or multiple traits. With more and more countries approving plantation of GM crops, glyphosate demand is expected to be around 840,000 tons. Particularly it is noted that glyphosate demand is growing year by year in emerging countries of AsiaPacific and Latin America. According to the census of ISAAA, there have been 129 glyphosate resistant GM crop varieties (food, forage and planting use) having been approved globally up until 25 September 2014. Of which 34 glyphosate resistant GM crop varieties are approved since 2014 up to date. 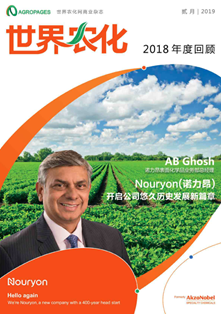 Transnational companies are the main force for GM crop development and promotion. 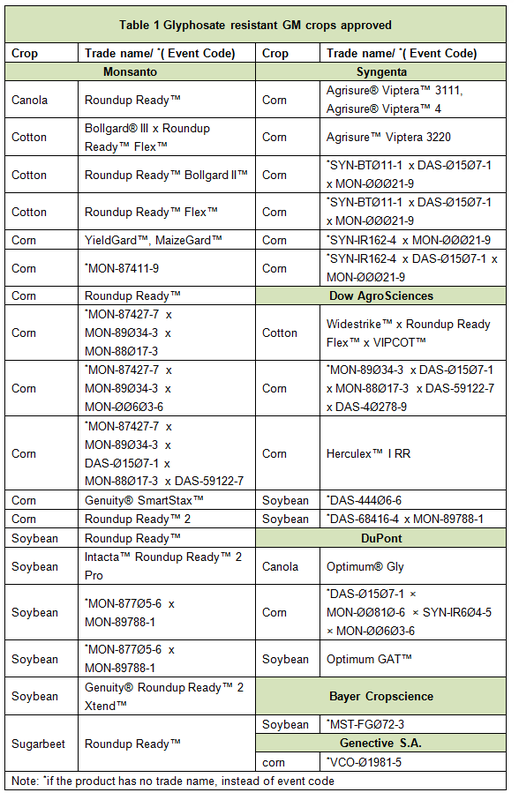 Monsanto had 18 approvals, followed by Syngenta with 6, Dow AgroSciences with 5, DuPont with 3 and Bayer with 1. Countries that give approvals are mainly Argentina, Australia, Korea, Singapore, Philippines, Indonesia, and etc. The details see table 1. The plantation of glyphosate resistant GM crops has led to large amount of glyphosate applications, meanwhile this indulges continued emerge of glyphosate resistant weed; some resistance weeds have become “superweed”. According to an international super weed investigation, up until 17 September 2014 some 30 kinds of glyphosate-resistant weed emerged globally including major ones such as Amaranthus palmeri, Amaranthus Viridis, Ambrosia artemisiifolia, Conyza Canadensis (L.) Cronq and Lolium perenne. Glyphosate-resistant weeds have emerged in 24 countries, 14 kinds in USA, 9 kinds in Australia, 7 kinds in Argentina and 6 kinds in Brazil. 33 kinds of herbicide-resistant weed, researchers have identified 6 of them as being glyphosate resistant. 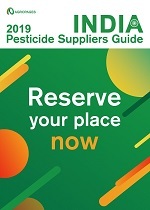 To confront the emergence of resistant weed, scientists and glyphosate vendors have been exploring new approaches, new technology, new application and new product to control the further emergence of the resistance. So far there is not yet a satisfactory solution against glyphosate resistant weed, but experts would suggest that farmers take possible measures to control the spreading of weed, such as the mixed use of glyphosate and other herbicide, plantation of glyphosate resistant crops in rotation with normal crops, as well as the utilization of multi pesticide- resistant stacked trait GM crops. 1) Development of glyphosate mixture product, being usually glyphosate and dicamba, glyphosate and 2,4-D, such as the herbicide Enlist Duo™ containing glyphosate and2,4-D choline developed by Dow AgroSciences. 2) Development of stacked-trait GM crops, such as the new type of glyphosate-dicamba Roundup Ready Xtend soy and cotton varieties developed by Monsanto, glyphosate-2,4-D resistant Enlist corn and soy varieties developed by Dow AgroSciences. 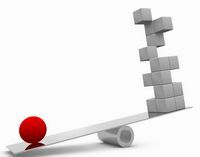 These solutions could help to solve the resistance problem to a certain extent. Over last 2 years a lethal nephropathy has been reported to be possibly linked to the use of glyphosate, according to a research institute. 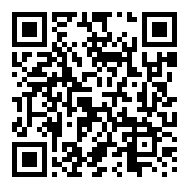 This led to appeals from some organizations and individuals requesting government administrations to take action to prohibit the use of glyphosate, there were already such actions in Salvador, Argentina, Brazil and Sri Lanka. However there are different voices from industry. Some experts believe that glyphosate is low toxic; the problem is caused by the combination with the heavy metals arsenic and cadmium, then getting into plants, animal and human body through food chain, which may be harmful to human body. It is the heavy metal positive ion that causes harm, but the opposite view blames the harm on glyphosate. Although the current rejections to glyphosate are individual cases, which have not caused major impact to glyphosate market, nevertheless it is foreseeable that further research will cause an influence to policy making. However according to a survey conducted by market consultancy Kleffmann, restrictions on the 9 active ingredients as imposed by Brazilian authorities would bring about at least BRL130 billion economic losses, which is based on 2011/2014 crop statistics. In a real sense the loss which could occur to the 4 kinds of crops like soy, corn, cotton and sugarcane will be much higher. China plays an important part in the world glyphosate market, accounting for 70% of the world total output. Statistics shows that China’s production capacity of glyphosate technical increased by 20% in 2013 having reached 509,000 tons, of which 442,000 tons of glyphosate technical (converted) were exported while domestic consumption was around 50,000 tons. Above 80% is exported annually. 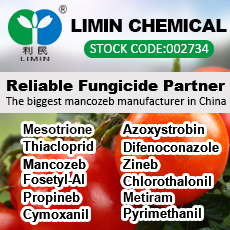 Over recent years China publicized series of pesticide administrative policies, aiming to promote centralized production, industry competitiveness and sustainable agrochemical development. 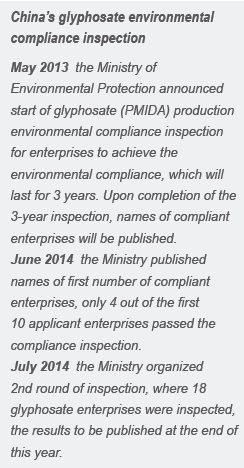 Concerning glyphosate, in 2012 China canceled the use of 10% glyphosate AS and terminated the approval for registration and field test of glyphosate AS below 30%; in 2013 an overall environmental compliance inspection to glyphosate enterprises started; and more strict requirement was made on the new capacity building. As an impact, some medium and small enterprises shut down production in 2013, superseded by more centralized production. At present China’s glyphosate technical is produced mainly by the following enterprises. The details see table 2. 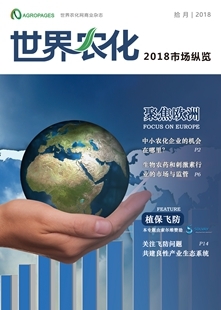 Moreover as stimulated by positive news such as the increase of planted GM crop area which leads to continued growth of glyphosate market, some Chinese enterprises either have stepped into the business or increased production capacity. In 2013 Sichuan Leshan Fuhua announced launch of an annual 120,000- ton capacity; Hebang announced its entry to glyphosate industry with launch of an annual 50,000-ton capacity; in 2014 Ningxia Nutrichem has planned to launch an annual 50,000-ton clean process in Ningxia. According to the timeline of these projects, the newly increased capacity is going to be discharged after 1 or 2 years. 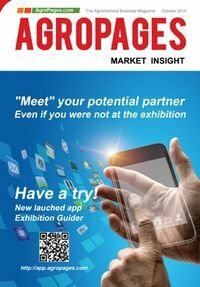 So far as international market is concerned, Chinese enterprises have started to make deployment in terminal market. 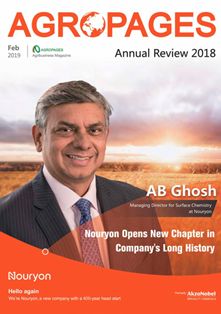 In 2013 Sinochem obtained Monsanto’s dealership of Roundup brand in the territory of Australia and New Zealand; in 2014 Huapont-Nutrichem made an investment of Yuan 1.4 billion in the US Albaugh, which plays a good foundation for Huapont-Nutrichem to enter the distribution channel of Albaugh, the world 2nd largest glyphosate supplier; in 2014 Hubei Xingfa Chemicals Group acquired glyphosate enterprise Taisheng, planning to set up a direct glyphosate sales channel in Brazil; Rainbow Chemical has released glyphosate GR to South American market including Argentina.